Original style with horizontal grill. Fits stock width fenders. Original style with center opening. Fits stock 993 fenders. More aggressive styling for the street or the track. One piece wrap around front splitter for the G Type fronts. Specify which style. One piece front bumper with separate lower splitter. 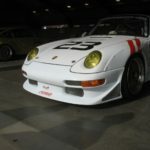 Fits 993 fenders with GTII flares. Large oil cooler ducts and brake ramps. Center tow hook. Large splitter attaches to the Evo I Bumper. 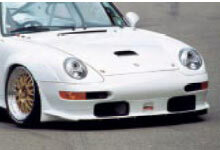 Third generation GT II front bumper used on 98 and new GT II’s. Original style EVO II front bumper with very complicated internal ducting designed to hold 993 style oil coolers in place. 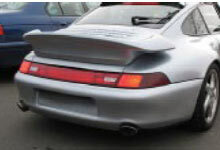 For stock 993 quarter panels. Complete with tailgate and reflector box. Fits stock 993 quarter panels. No light box. 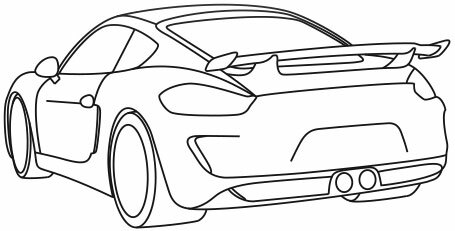 Fits turbo width quarter panels. No light box. Fits GT II width quarters, (turbo quarters + GT II flares, approximately 73”). No light box. Stock style rear bumpers. One piece with light boxes. GT II width. Approximately seventy three and one half inches. 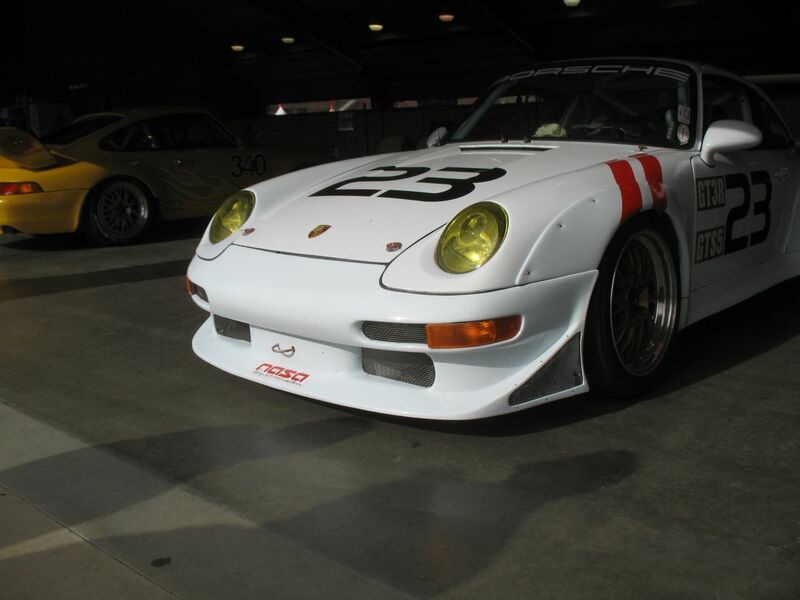 Earliest evolution version, cuts into 993 plastic bumper. One piece. Second evolution version. Fits 993 front bumper. Four piece. One spoiler body, two duct surrounds and one lip extension. GT II 3-piece splitters for stock 993 bumper. Tech-style, 2-piece splitters for stock 993 bumper. 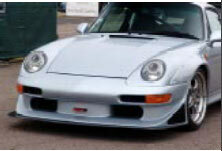 RS-style, 2-piece splitters for stock 993 bumper.